Noted Apple analyst Ming-Chi Kuo has told investors to temper sales expectations for the iPhone XR. Citing trade disputes, consumer fatigue, and steep competition, Kuo has slashed sales expectations for the iPhone XR by 35% for 2018Q4 and 30% for 2019Q1 and 2019Q2. Apple has been in a bit of a rough patch lately. Since the start of this month, the company’s stock price has fallen 13.5%. This may just be the beginning. Noted Apple analyst Ming-Chi Kuo has cut expectations for iPhone XR sales for the next few quarters by between 30 and 35%. In a note to investors, Kuo stated that TF Securities, the firm Kuo works with, has lowered its expectation for iPhone XR sales by 35% for 2018Q4, 30% for 2019Q1, and 30% for 2019Q2. Kuo cites three primary reasons for the decline in iPhone XR sales. The biggest reason is the threat of a trade war between the US and China. President Trump recently imposed higher tariffs on certain foreign imports, specifically products from China. As a result, China has retaliated with its own tariffs on U.S. goods, and the Chinese smartphone market could be severely impacted as a result. Secondly, Kuo said that consumers may be waiting for the iPhone XR to come down in price before they purchase the device. Starting at $750, the iPhone XR is a significantly cheaper alternative to Apple’s flagship iPhone Xs and Xs Max but may still be out of many consumers' budgets. As smartphones are seeing less impactful upgrades every year, fatigue may be setting in among consumers, particularly Apple’s. Lastly, Kuo said that steep competition from the likes of Huawei, among others, may be a contributing factor to poor iPhone sales. There’s quite a bit of weight behind this conclusion; Huawei’s new Mate 20 beats the iPhone XR (and the Xs) in many factors that matter to consumers, like camera quality. Other Android OEMs like OnePlus sell excellent smartphones for much less than Apple’s devices; these competitors will likely make a dent in iPhone sales. 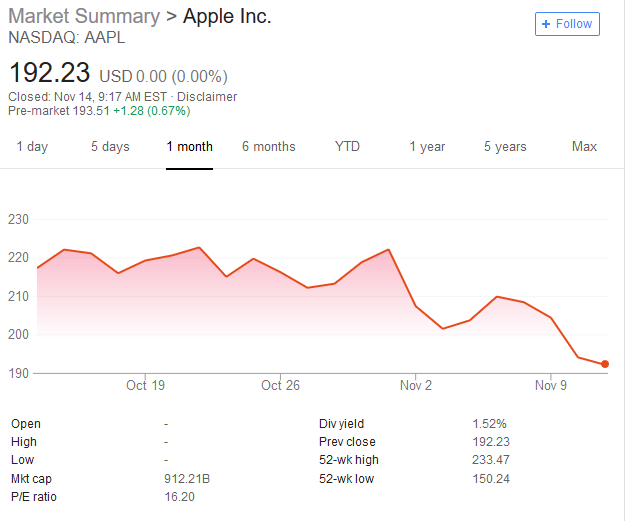 Kuo isn’t the only analyst with a pessimistic outlook for Apple’s sales. 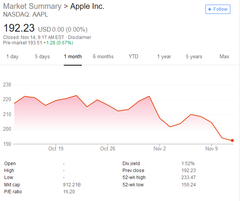 Many other market experts are concerned about Apple’s near future, especially considering the company’s recent announcement that it would no longer share sales figures in future financial reports.